Some of the Festival of Transport participants. One of at least two Birmingham Corporation ‘Standards’ providing shuttle rides was this Guy Arab weighing a smidgeon over eight tonnes. Neil Millington’s Independent of Horsforth liveried Plaxton Supreme Bristol LHS. 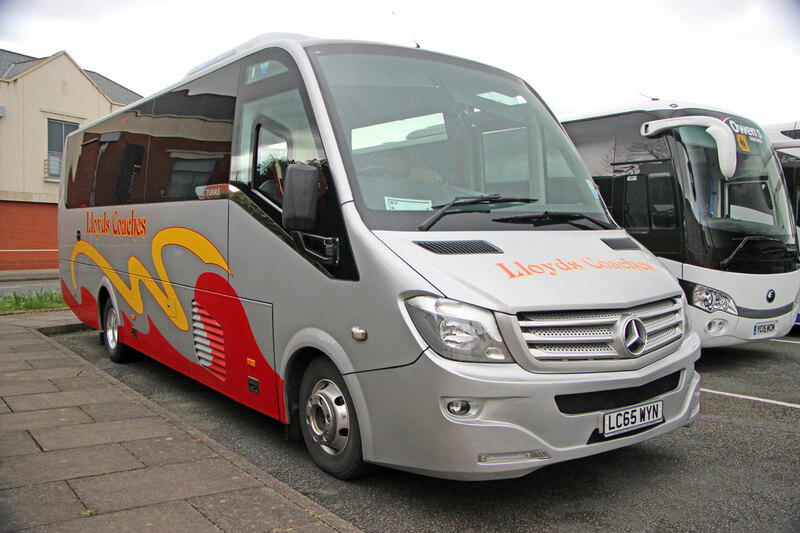 Lloyds of Machynlleth’s Turas 900 bodied Atego coach. Former MTL Northern Counties Palatine II Volvo Olympian dating from 1998. Leyland PD2 with East Lancs body seen loading in the town. Halton Transport’s one time number 33 is significant in that it was the very last Leyland National built, taking to the road in 1985. Bobby Graham’s 11m AEC Reliance 760 Plaxton Supreme. An unusual Ford Thames minibus. 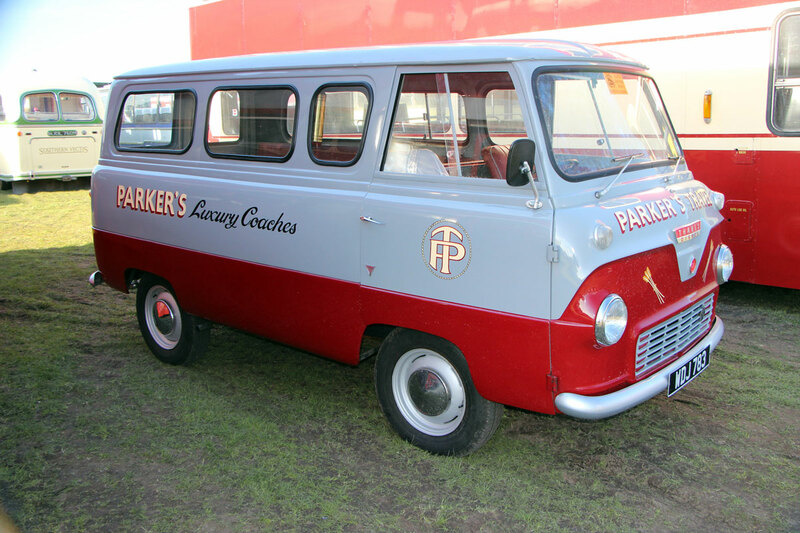 1956 Leyland PD2:20 with Crossley bodywork. 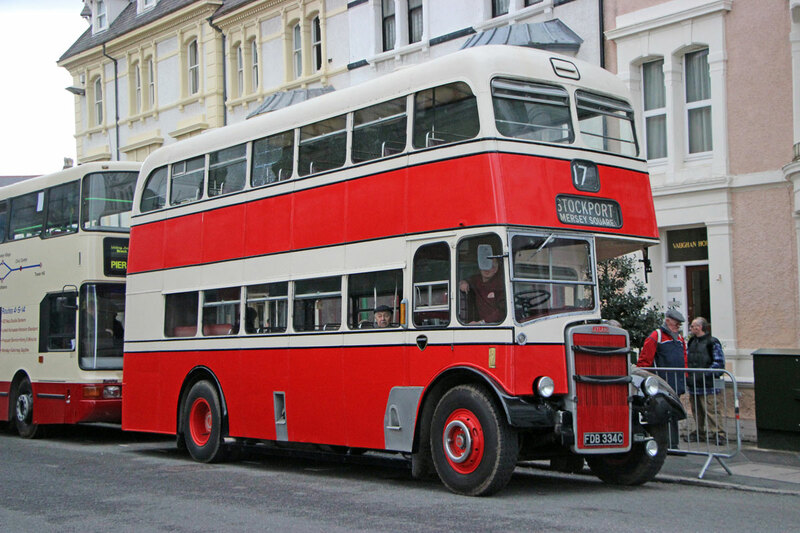 Said to be the largest transport festival in Wales and certainly one of the most popular, the Llandudno Festival of Transport attracts all types of road transport to Bodafon Fields on the outskirts of Llandudno, overlooking the town’s splendid bay. 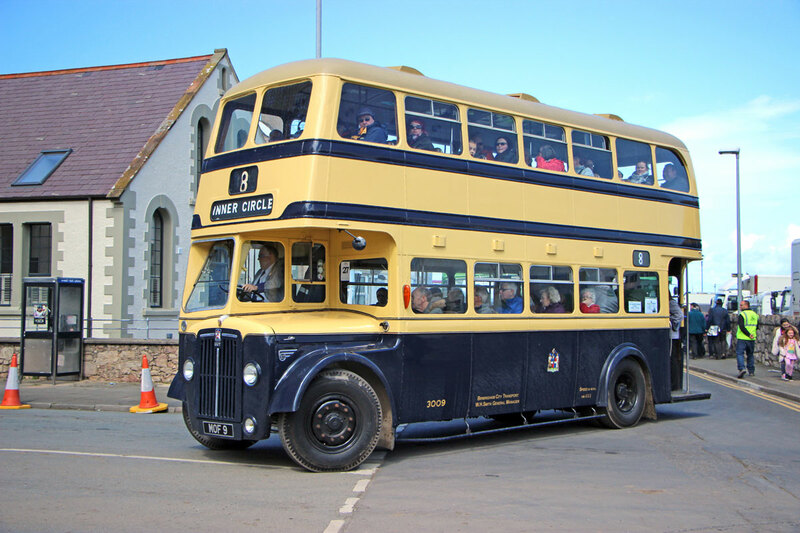 It is held in conjunction with the Victorian Extravaganza over the extended May Bank Holiday weekend and is a huge draw for visitors and participants alike with upward of 60 buses and coaches taking part, as well as cars, trucks, agricultural vehicles and all manner of other historic vehicles. 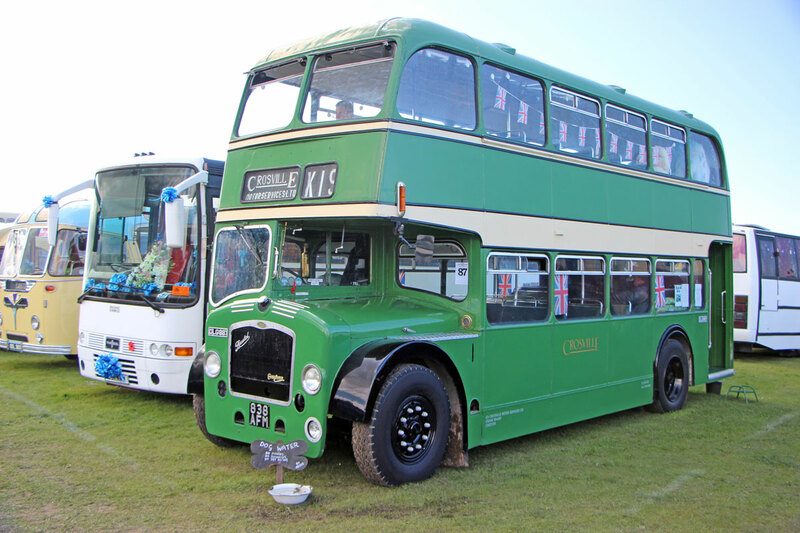 The emphasis of the event is firmly on older vehicles with a good balance between coach and bus, though many of those to be seen are still in revenue earning service with their owners despite their advancing years. That does not mean there isn’t plenty of modern machinery in evidence in the vicinity with Arriva’s Sapphire branded Enviro400s regularly passing the site on the 12 service between Llandudno and Rhyl and the new coach station just up the road with every imaginable modern model in evidence. 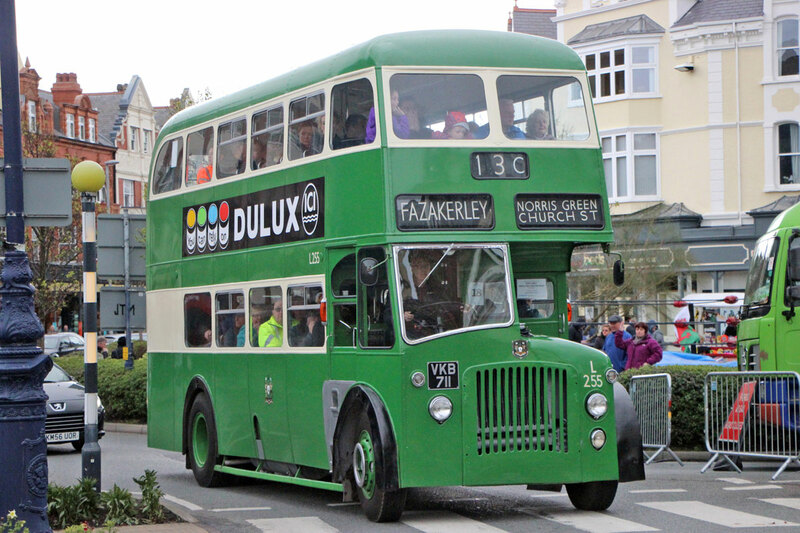 A very regular free bus service runs between the rally site and the town, some streets of which are closed to accommodate a Victorian fair with its attendant rides. Nearer the Orme and its historic tramway, some of the rides are bang up to date. Buses operating this service which carried good loads included a couple of Birmingham’s Guy standards, a Routemaster, half cabs from a number of North Western municipalities, Bristol K ECWs and more recent Volvo Olympians. 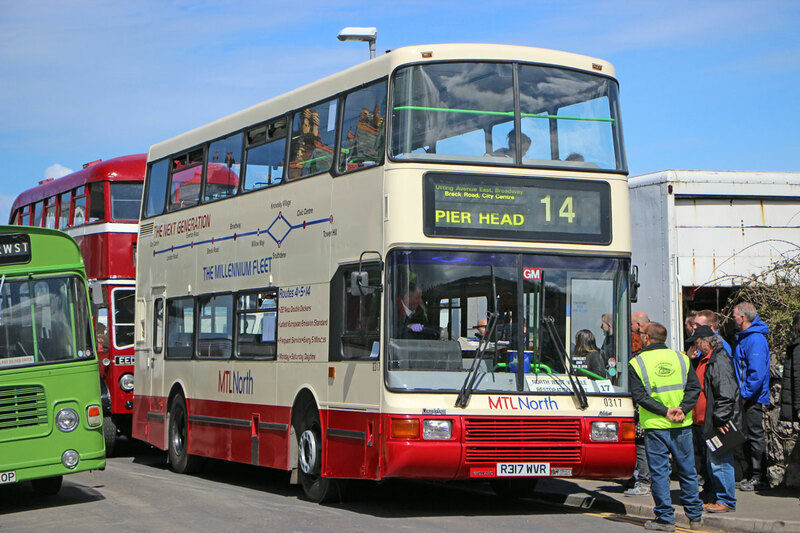 I spoke to James Rowland, who was driving a former MTL Volvo Olympian with Northern Counties Palatine II body which is at the younger end of the preserved bus spectrum. 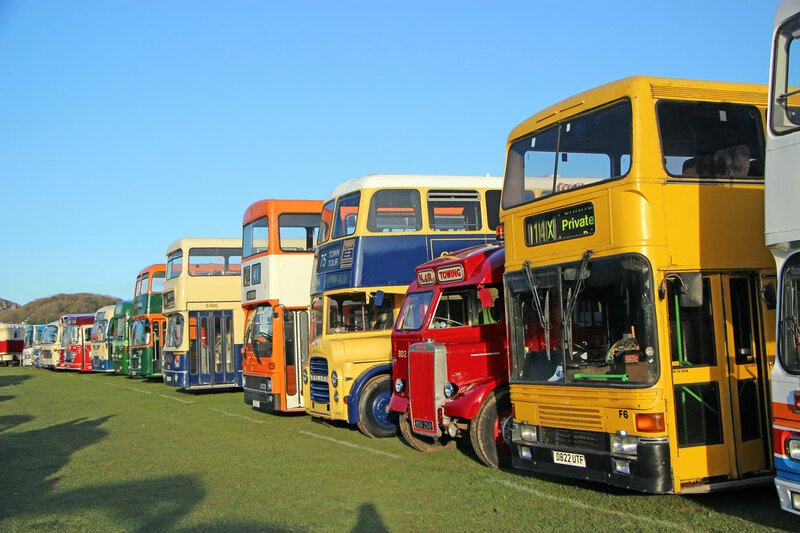 A policeman for 16 years though he started his working life with MTL, James explained that North West Vehicle Restoration Trust (NWVRT) successfully encouraged younger enthusiasts to join and they were more interested in the buses they could identify with. The NWVRT has a considerable collection that includes several Olympians and Darts. It will be having its Annual Running and Open Day at its Kirby premises on 5 June. Check out the www.nwvrt.co.uk website for details. Every vehicle has a story and part of the fun of rally-going is talking to their owners to find out what it is. 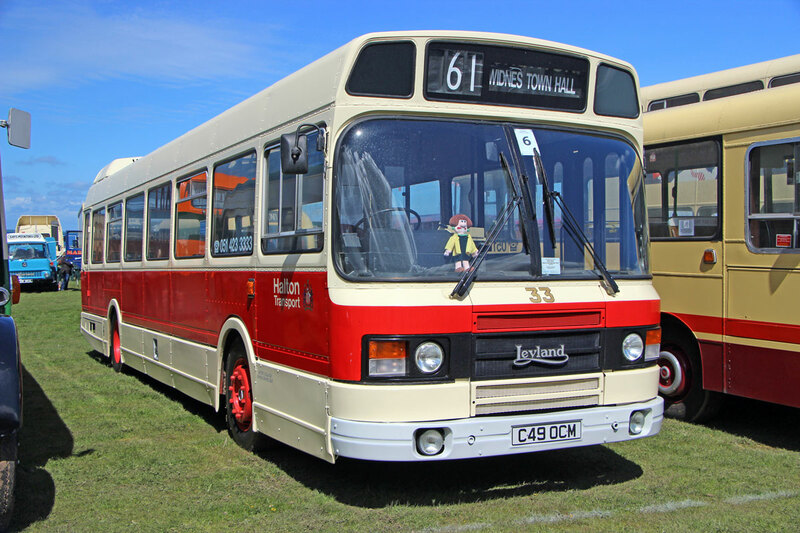 Bobby Graham had driven his 11m AEC Reliance 760 Plaxton Supreme down from Glasgow where it resides in the Glasgow Vintage Vehicle Trust collection. He explained that it had local connections having been new in 1976 to Tom Parry of Blaenau Festiniog, an operation that had originally started in the 1930s, subsequently becoming part of Alpine Travel. At the time of the takeover, the AEC had already been withdrawn for some years and was in the way, so Wynn Peate was given it to get it out of the way. 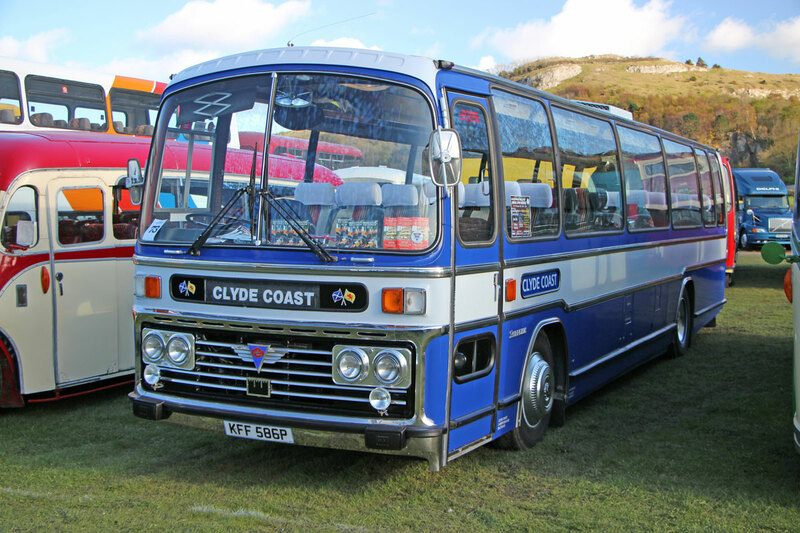 It had been unused for 17 years when Bobby bought it in 2010 and he has restored it in the colours of Clyde Coast, where he started as a driver in 1977 and was first allocated a similar 760 Supreme. 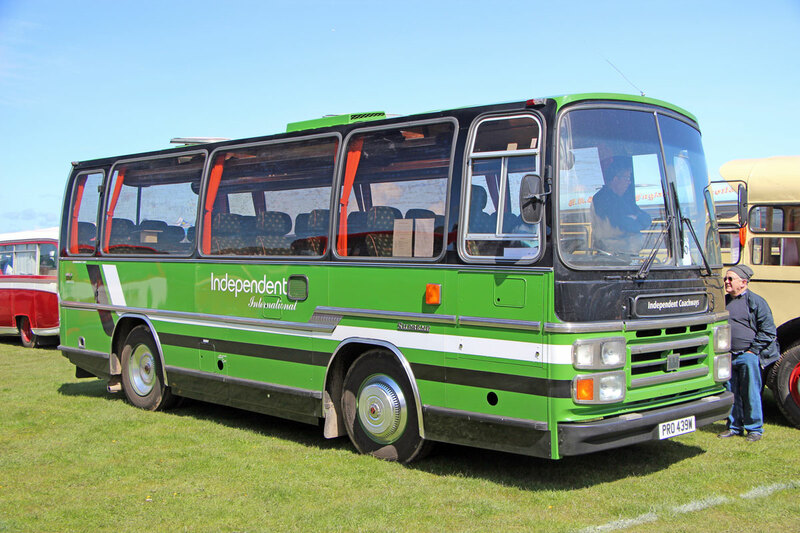 It’s good to see old friends too, among them Neil Millington, once of Autosound, in his Bristol LHS Plaxton Supreme IV carrying the original green colours of Independent of Horsforth. It was apparently five years to the day since Independent’s Horsforth depot had closed, though Thorne’s retain the name. Likewise, though not in the bus section, the resurrection antics of the Walsh brothers never ceases to amaze me. Kenny is Chief Engineer at Belle Vue Coaches in Manchester and he and his team bring back from the dead vehicles that you would have sworn could never run again, completing the work in astonishingly quick time. New projects completed since last year include a 1963 Hanomag Kurier and two American Ford trucks. To many participants and onlookers the highlights of the weekend are the road runs to Colwyn Bay and around the Great Orme that take place on the Saturday and Sunday evenings. These are very much dependent on the amount of recent rain and the consequent state of the ground underfoot, especially around the entrances to the rally site. As some of the exhibits apparently had to be towed in to the site on the Friday evening and it was, in places, very stodgy underfoot, the omens were not good and it was not a great surprise when, for the second year running, both runs were cancelled. As it was, the amount of mud on the road around the entrance had apparently resulted in complaints from local residents. Run or no run, it is always an interesting event.